ALLEGRA BOVERMAN/Staff photo. Gloucester Daily Times. 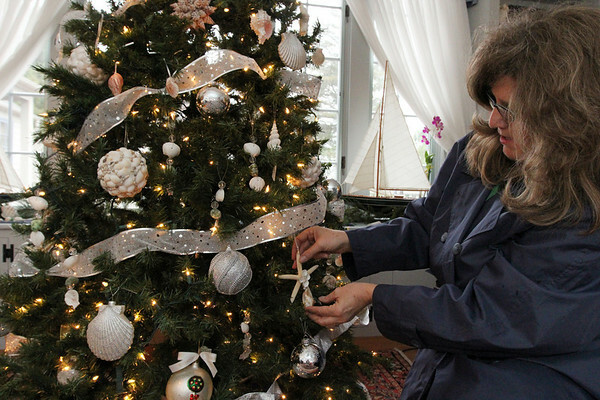 Rockport: The McNamara home will be on view during the Seashells and Jingle Bells Inn and Home Kitchen Tour of Rockport which will be held on December 10th from 1- 6 p.m. Diane Ambrose admires the shell-themed tree.